Want to know the best way to win people over? 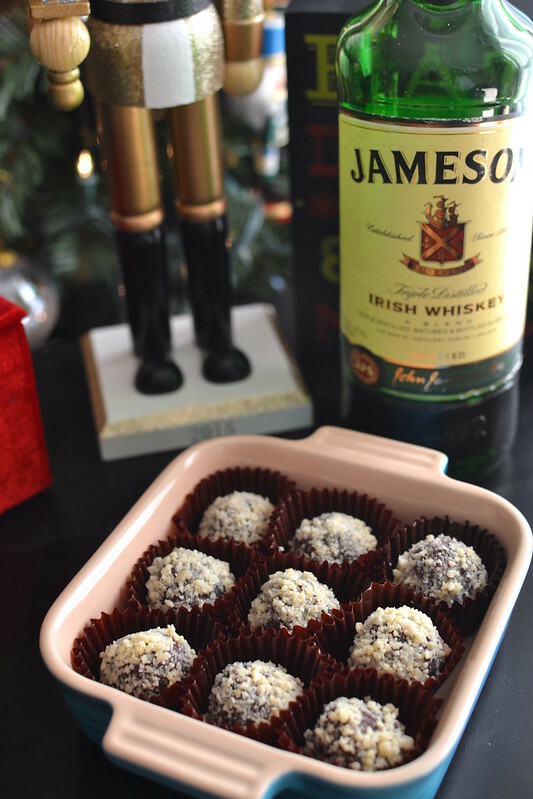 But better yet– with Chocolate AND Booze!!! 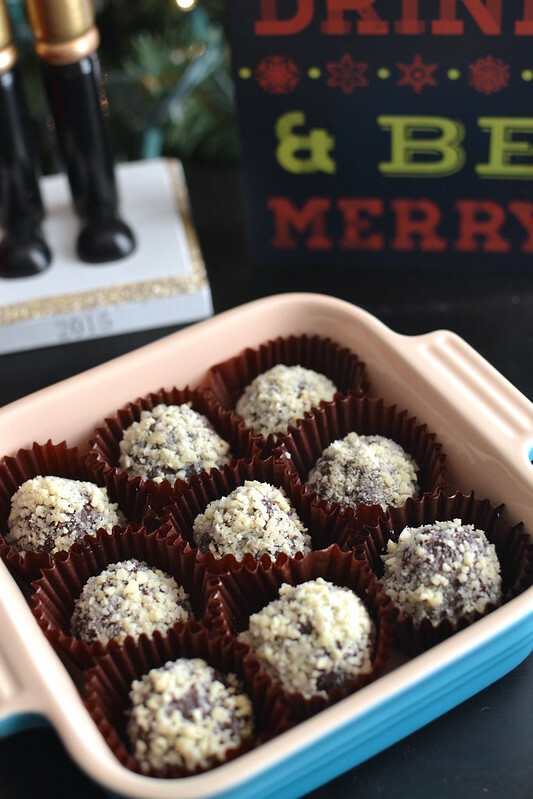 When I saw Sprinkle Bakes’ post about 5-Minute Bourbon Balls, I knew they were in my future. 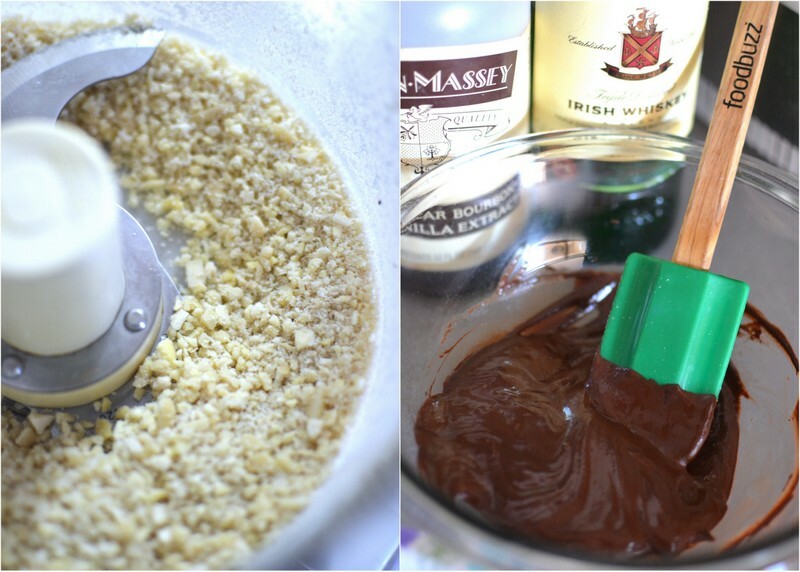 Heather’s recipe contains just a few ingredients and can be whipped up in minutes. 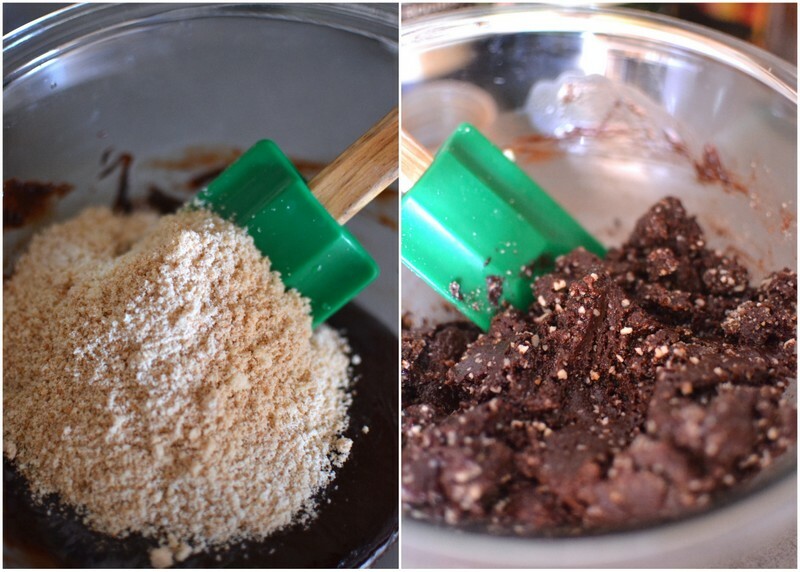 Melted chocolate, honey, vanilla wafers, walnuts, and bourbon…. YES PLEASE! 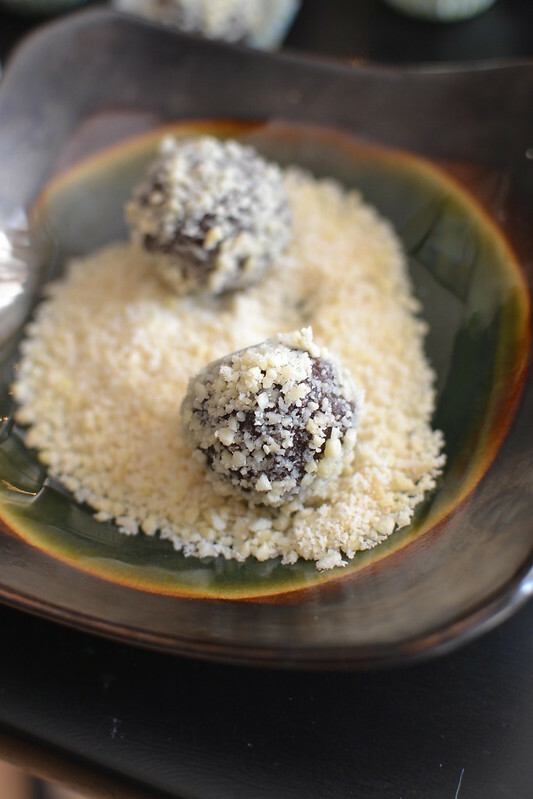 I followed her recipe fairly close but used almonds instead of walnuts (I’m not that much of a walnut fan) though I’m sure they would be SPLENDIFEROUS with hazelnuts or pistachios as well. I also added a few splashes of vanilla extract and used whiskey since I was out of bourbon. Though…aren’t all bourbons whiskey? But not all whiskeys are bourbon? I won’t mind if you use either….or both! 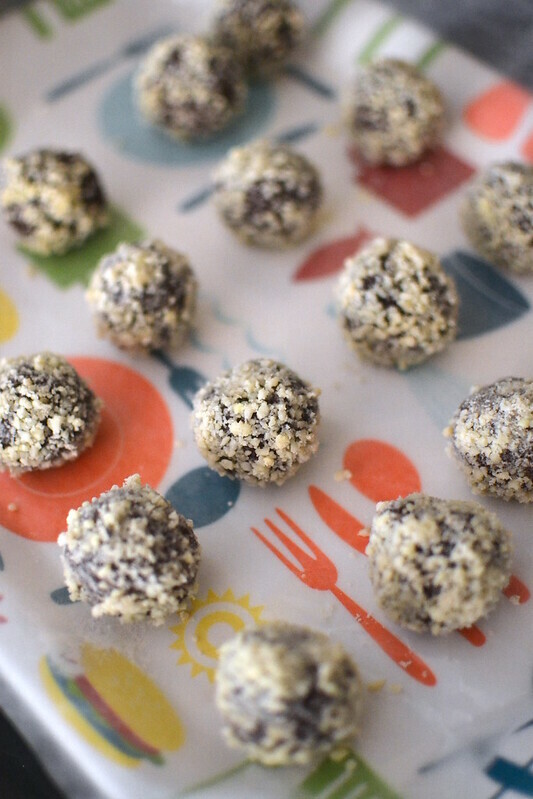 Since you do not add heavy cream or milk, these bites wouldn’t technically be a “truffle” but heck–they’re lovely nonetheless and require no baking at all. Which during the craziness of the season can be a much needed break. Added bonus? They can be made well in advance! 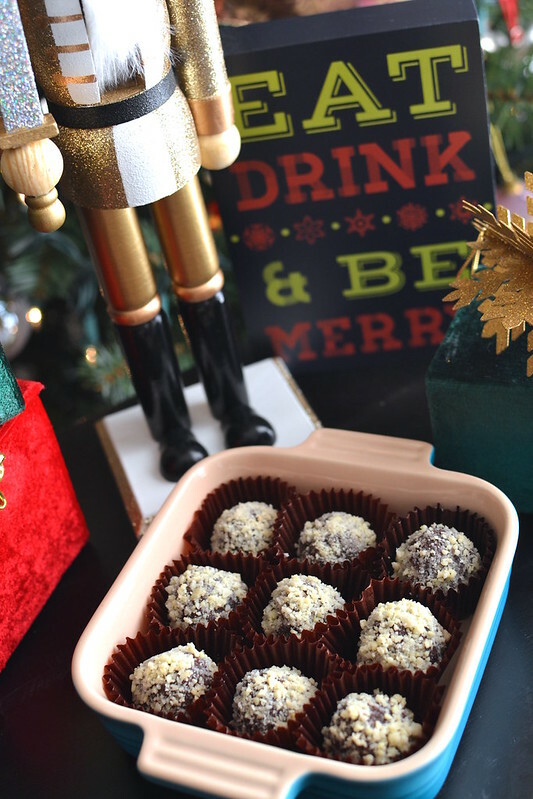 I’ll be making a few more dozen of these little bites for my family’s Christmas shindig and think they’d be a great addition to your holiday celebrations!